Friday night, we checked out the Fête de la Tomate in Carouge. The Swiss love their festivals (we have seen/been to 4 already in our short time here) and we equally love going to them. Mainly, because it provides a neat outing and more tasty & affordable cuisine than we can find in the restaurants. 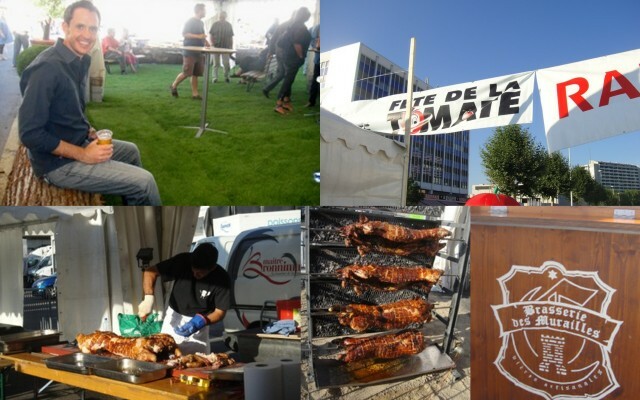 The Fête de la Tomate was a really enjoyable evening, but this festival was a lot smaller than the others. Especially as I think it is a bit more lively on Saturday vs. Friday night since it apparently was the first year its been open Friday night. Maybe everyone didn’t get the memo including the vendors as the tomato stands, tomato sauce stands, etc. weren’t open. 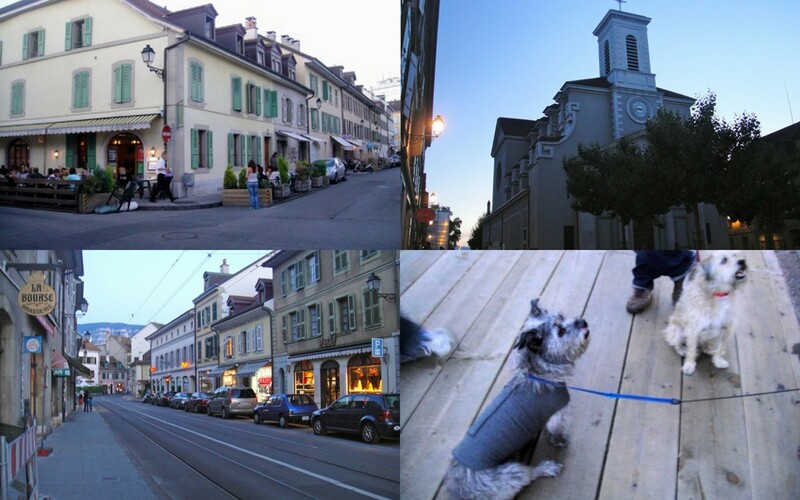 We explored it for a bit, enjoyed the band, had some food, and then headed back into Carouge to have a glass of wine and dessert. Ironically, we ran into friends A & A and their pups during our walk. This entry was posted in Festivals & Events, Food, Wine & Beer, Geneva Activities, Life in Geneva, Parties & Fêtes. Bookmark the permalink.